Bullseye, like Karla Sofen and Mac Gargan, was affiliated with Osborn before he rose to fame and glory after the Skrull Invasion. He was featured as the ace-in-the-hole for Osborn's Thunderbolts and hiring him on to the Avengers was a no-brainer for Osborn. 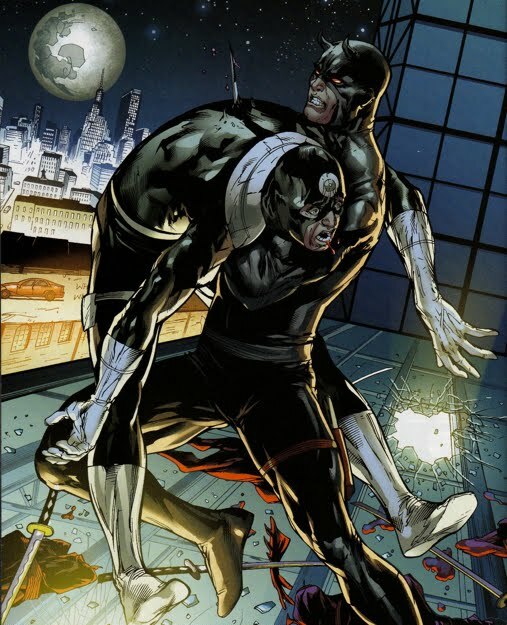 Bullseye was certainly one of the less powerful Avengers, still, he reveled in the task of being the team's torture specialist. 1. After Osborn declared Elektra Natchios a threat to national security, he immediately placed her into H.A.M.M.E.R. custody. When she escaped, Bullseye was all too happy to go and bring her back. Summarized here. 2. Bullseye used his torture skill-set on Spider-Man in an attempt to remove his Reed Richard's-improved mask. Summarized here. 3. Bullseye rekindled his hatred for Daredevil after Osborn sent his assassin to bring Daredevil into custody. Bullseye detonated an explosive that destroyed a residential building killing a large number of innocent civilians. Summarized here. 4. After Nick Fury and Norman Osborn put their differences aside to focus on a shared national security threat, a federal employee named Seth Waters, Bullseye was utilized to 'coax' some much needed information from the detainee. Summarized here. 5. Bullseye even had enemies within his own team. He battled constantly with Daken, both going out of their way to almost kill the other. 6. Deadpool proved to be a thorn in Osborn's side after outsmarting Osborn's Thunderbolts on a handful of occasions. 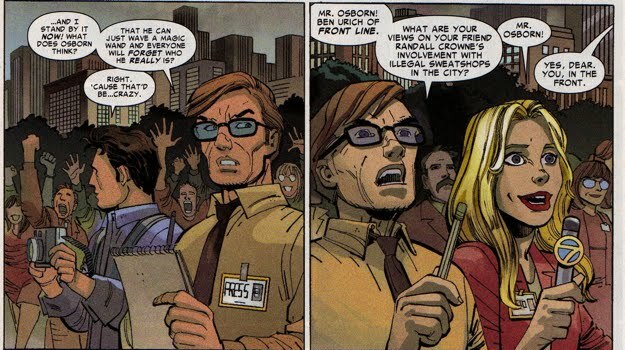 Eventually, Osborn enlisted his A-list assassin to go after Deadpool. After multiple failing attempts to subdue Deadpool, Bullseye resorted to an alternative method of persuasion. Bullseye simply pays the mercenary to get out of Osborn's affairs. Deadpool complies, but only for a little while and he soon resurfaced to join with Scott Summers and the X-Men. Summarized here. 7. 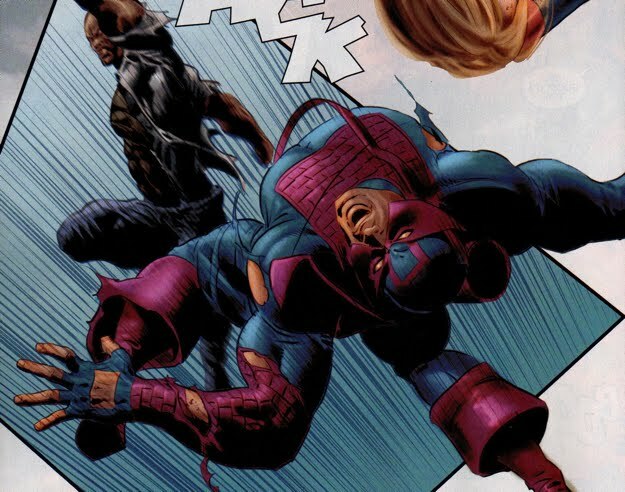 Osborn also charged Bullseye with the task of killing The Sentry's wife Lindy. Toward that end Bullseye strangled her during a helicopter ride and tossed her dead body into the ocean. 8. Perhaps Bullseye biggest gaffe was being caught on film by a news chopper in the midst of one his killing sprees. The news filmed 'Hawkeye' killing a group of cops and civilians in cold blood. Norman made a brave PR move and faulted 'Bullseye' for the murders, claiming his 'Hawkeye' was there to heroically intervene. Norman soon realizes that expecting Bullseye not to kill is impractical, so he sends his assassin on a mission in which killing is required. Norman uncovers a domestic terrorist cell group named P.T.S.F. (Peace Through Superior Force), who happened to be behind a recent federal bank robbery. 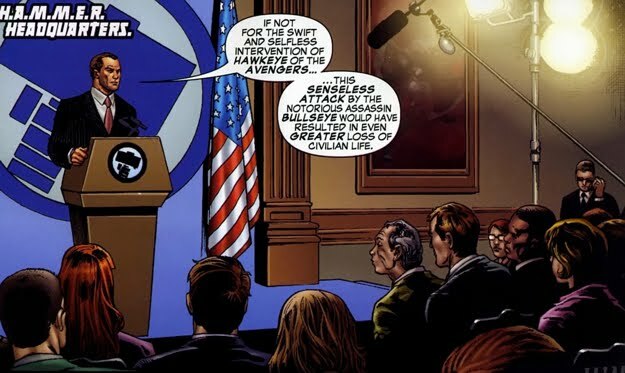 Osborn instructs Hawkeye to catch and kill this group publicly in an attempt to sway public opinion in this Hawkeye's direction. When Bullseye arrives at the P.T.S.F. 's hideout he finds them all dead, having been killed by...Bullseye?!? Bullseye is soon convinced that someone is trying to drive him crazy, using his history as the murderous Bullseye to somehow frame him. It turns out that Bullseye's supposedly deceased father, The Kingmaker, is the person behind the plot to frame him (and drive him mad in the process!). Bullseye is eventually able to defeat The Kingmaker after watching him burn to death in a fiery crash. 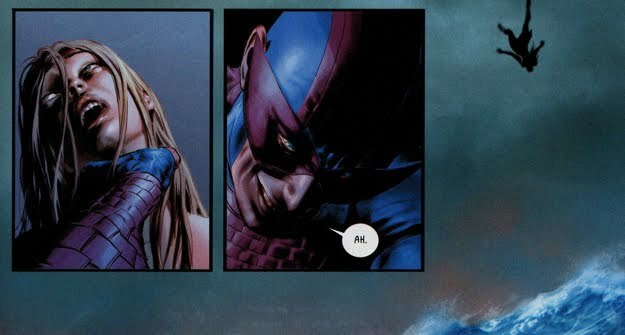 Bullseye, along with the rest of Osborn's Avengers, had his run of legitimacy come to an end after the attack on Asgard. Luke Cage did the honor of bringing him down after he made one last-ditch effort at an escape. Bullseye was placed in the Raft, however, while in en route he managed to kill his captors and escape. But Bullseye soon confronts Daredevil in Hells Kitchen and the man with no fear exacted his revenge on Bullseye for his slaughtering of innocent civilians. To date, Bullseye is still dead. 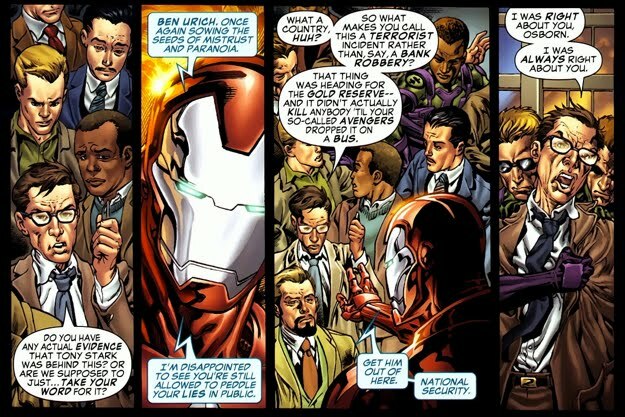 As an interesting side note, Ben Urich investigated the murders committed by 'Bullseye' (#8 on the Rap Sheet list) and he eventually confronted Osborn concerning these events. Urich was responsible for Norman Osborn's original outing as the Green Goblin after publishing his book entitled The Legacy of the Green Goblin. As you can, the two have nothing short of great rapport when they are around one another.